Home / Economy / To Brexit or Not to, again? Flashback:Meanwhile, the UK has left the European Union, or not? What was in stake with its national economy? How will the Brexit affect the UK`s economy and will it leave any consequences for it? In a speech made last December, Bank of England governor Mark Carney said Britain was mired in its “first lost decade since the 1860s”. Workers’ earnings after adjusting for inflation, he said, “have grown at the slowest rate since the mid-19th century”. Various analyses show that in the mid-1980s the 10-year moving average of real annual wage growth reached nearly 4 per cent. As recently as 2007, it stood at about 3 per cent. Now it has plunged below zero, meaning workers lost purchasing power for most of the past decade. As a consequence, the centre-left parties of the 90s are being driven further left, and the ones that have not moved are losing ground to left-wing alternatives. With the exception of Germany, the broad centre of democratic politics is being hollowed out. In Britain, the Liberal Democrats ran as the sole champions of the 48 per cent of voters who cast ballots last year to remain in the EU. They made little impression on the electorate and gained back only a handful of the nearly 50 seats they had lost in 2015. The plan to nationalise swathes of industry comes from left field (literally). It is unlikely to produce any improvements in prices, cost or efficiency and if history is any guide, quite the reverse. In the long-run, the greater role of the ‘State’ in the economy is likely to lower the productive efficiency of the economy, whilst the increase in government debt is likely to increase the tax burden for future generations. While this is likely to be partially offset by higher immigration under a Labour government, it’s difficult not to see the longer-term growth potential of the economy weakening. It is for sure that the UK will feel the consequences of Brexit process and the separation from the EU in general, as well. Its economy is highly unlikely to grow in the next decade. Along with the tremendous recurring global occurrences, it is not that easy to rethink of the UK as a future global economic power. On the contrary, it is more likely to rejoin this country to a middle range powers even in the economic sense. The author of this text is looking forward to seeing if another déjà vuof the UK`s economy struggle in a decade will occur. As probably noticed, nowhere in this text (or at least nowhere), could be found the information on potential consequences for staying IN the Union. Since the limits of the article are set to the economic moment, it is to be assumed that “staying IN” scenario would not affect both the EU and UK. Several obvious reasons confirm that. First, the UK is opted out of the Eurozone system. It means that neither its currency is Euro, nor it is obliged to respect the financial and (most) banking rules coming from the Commission and other EU institutions and bodies. It changes nothing. Second, if the UK stays within the Union, probably the only losers will be the political campaigners for Brexit outcome. Last but not least, the fact that people will continue to enjoy all four freedoms as it was the case so far, is the strongest argument for none consequences for the UK in case of “staying IN” scenario. As Mao Zedong said: “Nothing will change; trees will grow again next year, sun will continue to rise up every day, and women will continue to give births”. 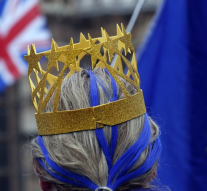 Next Article » Brexit: a new reality before next EU elections?